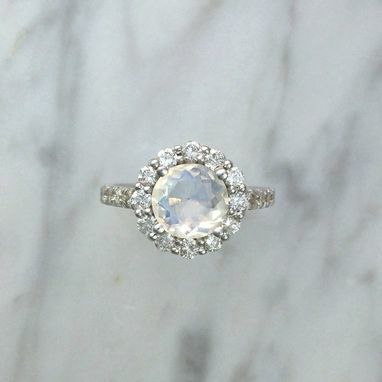 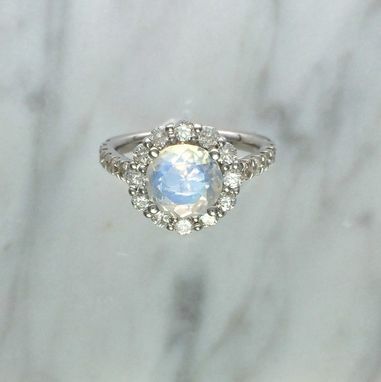 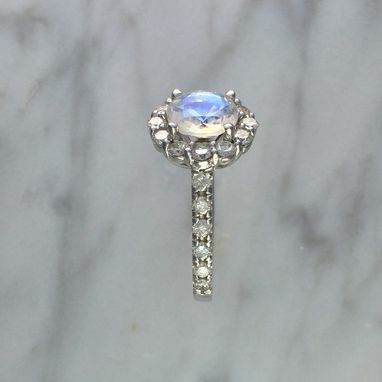 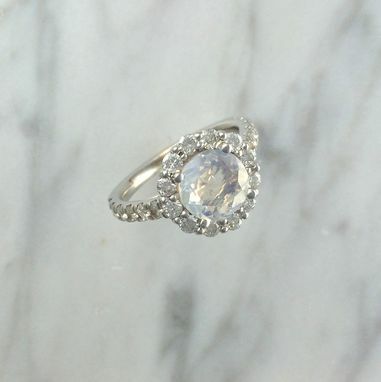 This is a very classic beautiful diamond halo setting adorned with an even more beautiful Faceted Blue Rainbow Moonstone. 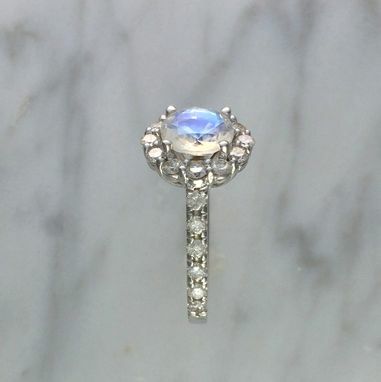 Moonstones are usually in a Cabochon cut, but I had this one made into an 8mm faceted cut, which came out looking brilliant! 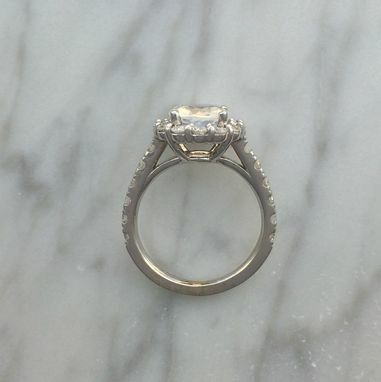 This listing is made to order with a 14K White Gold Round Halo Setting with a high polish and Rhodium plating which will make the shine last longer.